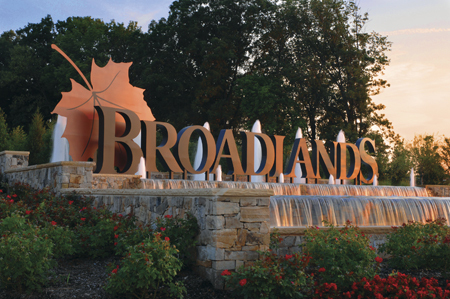 Have you considered moving and living in Broadlands VA? If so, you have plenty of company as the Broadlands is a highly sought after destination for many young families. H/T Washington Post - "In Virginia’s Broadlands, being far out feels just right"
After nearly 20 years living in the Northern Virginia community of Broadlands, Jim Fowler mused recently about whether the neighborhood still fit his needs. In 1999, when Fowler and his wife moved their four children to Broadlands, a planned community in Ashburn, his 3,000-square-foot, five-bedroom, four-bathroom Colonial on idyllically named Cattail Meadows Place was the perfect size for his family. But with his last child entering college, Fowler couldn’t help but wonder if downsizing might be in order. “We thought long and hard about whether this place still fits our lifestyle,” Fowler said. But after careful consideration, Fowler and his wife decided that they loved the community and had become too attached to consider a move. “We have access to everything you could dream of, and I doubt I’d feel that way about another place,” he said. Fabrice Guillaume, who’s lived in the community for 11 years, said he’s definitely noticed residents remaining long after their children are grown. Open spaces and wildlife: Situated on more than 1,500 acres in eastern Loudoun County, Broadlands offers its nearly 4,000 residents easy access to swimming pools, trails for hiking and biking, tennis and basketball courts, and large open spaces throughout the community that contribute to a feeling of openness and foster a love for nature, said Joe Wagner, a member of the board of the Broadlands Homeowners Association. As a testament to the community’s commitment to Mother Nature, the association employs a full-time naturalist and was named a Certified Wildlife Habitat Community by the National Wildlife Federation. “A lot of the homes in the community back up to open spaces. It’s nice to have that as your view rather than the back of your neighbor’s house,” said Wagner, who purchased a 3,800-square-foot, four-bathroom, four-bathroom Colonial in 2004. Nancy Bossard, an agent with Long & Foster, said that the area around Broadlands continues to grow as buyers become less fearful of living farther out from downtown Washington. A planned extension of Metro’s Silver Line that will serve Ashburn is adding to the sense that commuting from Loudoun County doesn’t have to be a traffic nightmare, she said.